Take on the role of an ambitious demigod who is trying to claim a place at the summit of Mount Olympus. Recruit heroes, acquire artifacts, undertake quests and earn the favour of the gods. 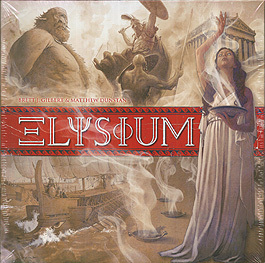 When your allies fulfill their destiny,they enter Elysium, the resting place of heroes, and contribute to your legend. Once all the tales are written, a single demigod will join the Olympians.